The dramatised narrative "Witness for the Defence" relates an account of the unacceptable, but still prevalent, degradation of domestic violence. It remains an appalling fact that in the 21 st century there are women all over the world who are being violated, both mentally and physically, by their abusive male partners – women who are reduced to a state of submissive, humiliating, subservience and despair, brain-washed, beaten and coerced int total submission. Too often they are alienated from their closest family. They are deprived of their property and kept under permanent surveillance. Such tragic women are subjugated and dispossessed of every natural human dignity and freedom, until they have nothing left in life to live for. This abusive behaviour is always perpetrated behind closed doors by men whom the rest of society may see as good natured and friendly. These men are control freaks, cunning psychopaths, who prey on vulnerable women, driven on by the cruelty and sense of power they derive from their achievements and behaviour. Many move from one woman to another in their misogynistic progress through life, leaving behind a trail of ruined lives. Sadly, all too often innocent children grow up in these abusive dysfunctional circumstances, with undesirable males as their role models, and, as adults, believe women must be submissive. Domestic violence is found at all levels of society and is prevalent in ethnic groups worldwide, especially amongst women for whom the Education System has failed. 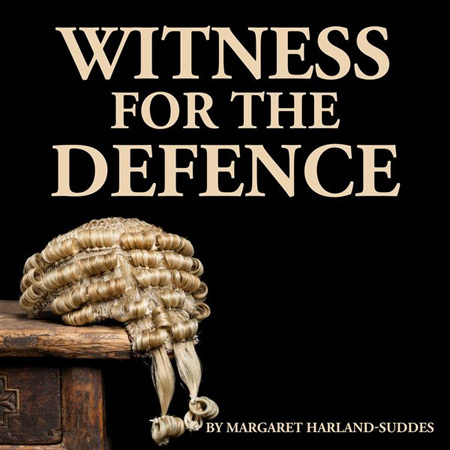 "Witness for the Defence" seeks to shine a light into this "crime without a public face". The author, Margaret Harland-Suddes, is from central Northumbria in England. She was born and educated in the beautiful Cathedral City of Durham where she attended both school and university.